Since 1916, thousands of riders across the United States have flocked to Laconia, New Hampshire every year for the annual Motorcycle Week, taking place this year from June 13th to June 21st. Though fun, rallies like these have a tendency to escalate, so aside from information on the event, I’ll provide a few tips to avoid any DWIs while you’re out there. What is Laconia’s Motorcycle Week? of motorcycle enthusiasts and riders, a rally of sorts. It began in 1916 as a large gathering of a few hundred motorcyclists on a beach in Laconia. Soon it was included as a part of the Gypsy Tour, another motorcycle rally. Gradually participants began arriving in greater and greater numbers, extending what was once a weekend event into a weeklong affair. And so, Laconia’s Motorcycle Week was born. It is the oldest motorcycle rally in the United States, regularly attracting hundreds of thousands of participants. With the countdown already begun for its 100th birthday, this year’s event should have even more participants than usual. There is no shortage of events to choose from at Laconia’s Motorcycle Week. During the day, you have the option to take guided scenic rides through the stunning White Mountains, or the picturesque Lake Winnipesaukee. If that’s not really your speed, you can always partake in some oil wrestling or mechanical bull riding at the Broken Spoke Saloon. You can also take a visit to the American Police Motorcycle Museum, or the Laconia Roadhouse. And, of course, you can enter into one of the countless bike shows that abound during Motorcycle Week. Aside from these there is live music every night, with a huge range of talented artists set for the lineup. Where there are hundreds of thousands of riders gathered in a single place, the cops are sure to follow. And follow they do. In addition to the standard police force, elements from New Hampshire’s State Troopers are brought in to help maintain the peace as well. Because of the increased police presence, not to mention the incredible amounts of alcohol that will be available at the rally, getting slapped with a DWI/DUI is easier than ever. But you don’t have to have your fun cut short by jail time. Keep track of the amount of alcohol you consume, and make sure that you are not drinking on an empty stomach. Understand your tolerance levels for alcohol: only you know exactly how much you should be drinking. Take this into consideration when consuming alcoholic beverages. Keep an eye out for drivers who might be under the influence themselves, and do your best to avoid them. The greater number of motorcycles around during Motor Week means that accidents are far more likely to occur in any case, and adding intoxicated drivers to that mix will undoubtedly result in serious injury for a party involved. The fact of the matter is that there are bad drivers out there. They put themselves and everyone else on the roads at risk. 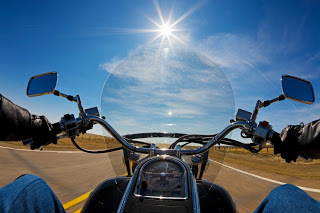 If you do have the misfortune of being involved in a motorcycle accident, make it one of your top priorities to acquire an experienced motorcycle accident attorney in NH. It could mean all the difference to your case to have a qualified individual fighting on your behalf.